Sinclair ZX-81 Cass. published 36 years ago by Griffin Soft. 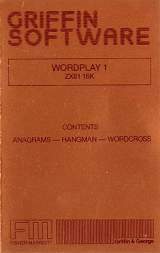 Wordplay 1 © 1983 Griffin Soft.